As school districts bolster their police forces, students across California are pushing Sacramento for restorative justice. This article originally appeared at Waging Nonviolence and is reposted with permission. After the Newtown shootings, the urgency to secure schools shot up. California Senator Barbara Boxer floated legislation to deploy the National Guard in districts nationwide; President Obama included grants for “school resource officers” in his since-mothballed gun control proposals; and districts, including Los Angeles, which already has the largest school police force in the country, called for more police or stronger partnerships with local law enforcement. Across the country, students of color braced for the aftershock. School police are the bedrock of the school-to-prison pipeline, a system that levies harsh punishments for nonviolent behavior and, despite scant evidence of greater infraction, funnels disproportionate numbers of black and Latino students out of school and into court. This system of racialized discipline and punishment feeds off moments of fear like Newtown—from the Reagan-era war on drugs, when zero tolerance discipline was born, to the Columbine shootings, which led schools in Denver to increase student referrals to law enforcement by 71 percent over the next four years. The most recent police surge is, however, only one part of the story. The commotion over school safety has also opened space for youth organizers to push the conversation in the opposite direction. On May 29, the California state assembly passed AB 549 by a vote of 71-0. The bill is a sweeping attempt to clarify the role of school police, limit their involvement in student discipline and prioritize the use of restorative justice training, school counselors and related support in school violence prevention. In its current wording, it encourages schools to articulate the role of all school staff—from police officers to mental health workers—in state-mandated school safety plans. As it moves to the state Senate, activists are pushing to make that encouragement a requirement, while also requiring schools to emphasize practices like counseling and conflict resolution training. They also seek an explicit definition of school police as overseers of physical safety rather than student discipline. AB 549 follows on the heels of related efforts in Texas and Connecticut—and a handful of laws passed in the state’s previous legislative session focused on rolling back zero tolerance discipline. 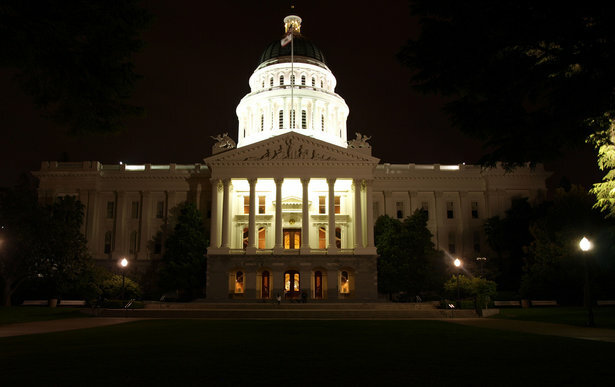 The current bill, like the ones before it, builds on the coalition work of large advocacy organizations and organizing-based community groups across California. Some of these groups are affiliated with the national Dignity in Schools Campaign, which published a comprehensive set of policy recommendations authored by youth of color after the Newtown shootings. The language of AB 549 has been watered down and tossed around by lobbies like the Association of California School Administrators, which has argued that the bill is “very prescriptive for a school safety plan” and would impose onerous legwork. No matter the linguistic turns of this bill, though, it’s only one plank of an escalating statewide strategy—and a lever for building power locally. In Los Angeles, students and allies have a long history of resistance to the city’s deeply racialized disciplinary practices. In 2007, after years of pushing from CADRE, a South LA–based community group, the district ordered schools to adopt proactive mediation practices and decrease reliance on exclusionary punishment like out-of-school suspensions (though reports show schools have been slow to implement them). In 2011, the city agreed to back down on ticketing students hundreds of dollars for being late to school. In May, the school board passed a student bill of rights, which bans expulsions and out-of-school suspensions for “willful defiance,” a judgment-heavy category that includes fighting, walking out and talking back. “When we were first writing the bill of rights, it was going over things, perfecting the wording, going over what discipline and punishment really look like—and what willful defiance really is, because it means so many things,” said Michael Davis, a sophomore at Manuel Arts High School in South LA. and an organizer with the Community Rights Campaign. Students have yet to succeed at downgrading willful defiance on the state level, as Governor Jerry Brown vetoed a related bill, AB 420, last session. It remains on the legislative agenda for many of the groups backing AB 549. Meanwhile, in Oakland, another hotbed of youth organizing, students won a process for filing complaints over school police misconduct. Now, in addition to advocating for AB 549, Oakland’s Black Organizing Project is in the process of setting up an area chapter of the Dignity in Schools Campaign, which groups in Los Angeles helped launch. Similar bases of organizing are growing in California’s vast Central Valley. Along with students from Fresno, members of the Stockton-based Fathers and Families of San Joaquin have gone on two trips to Sacramento to meet with legislators and give testimony in favor of limiting police in schools. Organizers from Stockton, a longtime bastion of farmworker organizing and more recently infamous for going bankrupt in the wake of the recent housing crash, won a four-year fight last month to prevent a new prison from opening in the city. Fathers and Families runs a youth empowerment summer academy, programming for formerly incarcerated people and conferences for boys and men of color. It’s this landscape of community organizing, youth training and action research that grounds sweeping legislation like AB 549. Building youth power in Sacramento requires slow, intergenerational, often unsexy organizing focused on leadership development and targeted at local actors. The attention span of this organizing is longer than the post-Newtown scramble. The current bill—which organizers say would have waited until next year without the political climate shift of the Newtown shootings—is only one node in a larger, increasingly networked terrain of struggle. California is at the forefront of a national movement that is slowly reaching higher stages. Just two days before the Newtown shootings, students and community activists descended on Washington, DC, for the first ever Senate hearing on ending the school-to-prison pipeline—the outgrowth of years of organizing leading up to and around the Dignity in Schools Campaign.